Yvonne Craig passed away at her home in Pacific Palisades, surrounded by her immediate family and comforted by Hospice yesterday night. She died from complications brought about from breast cancer that had metastasized to her liver. She is survived by her husband, Kenneth Aldrich, her sister Meridel Carson and nephews Christopher and Todd Carson. A private service is being planned with no date set at the present time. In lieu of flowers, please make donations to: The Angeles Clinic Foundation by mail at 2001 Santa Monica Blvd, Santa Monica, CA 90404 or by going into their website at www.theangelesclinicfoundation.organd following the “Donate” link. Yvonne Craig began her theatrical career as the youngest member of The Ballet Russe de Monte Carlo and toured for three years when she was accidentally discovered by John Ford’s son Patrick and cast for the lead in the movie The Young Land. 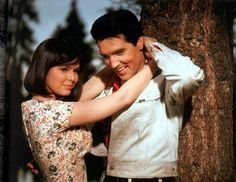 This was quickly followed by many years of film and television including two movies with Elvis Presley (It Happened at the World’s Fair and Kissin Cousins). However, she is probably best known for originating the role as Batgirl in the 1966 TV series of Batman, or for her character “Marta” from the third season of Star Trek in the episode Whom God’s Destroy where she played the well remembered insane green Orion Slave Girl who wanted to kill Captain Kirk. Over a span of years she appeared as a guest star in many television series, including The Many Loves of Dobie Gillis, The Six Million Dollar Man,Land of the Giants, Mod Squad, Voyage to the Bottom of the Sea, Love American Style, Emergency, and Courtship of Eddie’s Father just to name a few and worked opposite Bing Crosby, Sal Mineo, Don Knotts, George Hamilton, Dwayne Hickman, Dennis Hopper as well as Elvis Presley and James Coburn. Her next career was that of a real estate broker where she was involved not only in commercial real estate, but also residential income properties for a period of years and still held a real estate license. Yvonne and her sister, Meridel went into the prepaid phone card business at its inception producing phone cards for charitable events as well as promotional phone cards for the Paramount film Clueless and both Daffy Duck and Bugs Bunny cards for Warner Bros. stores, as well as many charitable organizations for fundraisers. In 2000, Ms. Craig wrote a book of anecdotal memoirs, From Ballet to the Batcave and Beyond, which covered some of her years in the ballet and her theatrical career. She actively did voice over work including voicing the role of Grandma in the 2009 Olivia cartoon series for Nickelodeon, and she was recently Executive Producer for the documentary feature film BIRTH. She and her husband have traveled extensively all over the world, preferring adventure type travel, which has taken them to many countries through the years, and back to Africa seven times. Yvonne has been involved with social work as well as philanthropic work through the years, and was a public voice to support worker unions and equal pay for woman, as well as supporting free mammograms for women who cannot afford them. She and her husband have also been advocates of education and long time supporters of education on all levels. They are actively involved with the Phillips Brooks House Association at Harvard, the Harvard Graduate School of Education, two different charter schools, and the Liberal Education for Arts Professionals out of St. Mary’s College of California better known as LEAP. She also volunteered time and tutored and mentored disadvantaged students. Lovely lady whom Ive had the fortune of meeting twice. Just a beautiful person inside and out. Yes Deano, the world needs more Yvonne Craigs in it. RIP dear lady. I fully echo your sentiments Deano. Very sad news. The years are certainly flying by. Yvonne was born on May 16, 1937, so I guess that makes her 78. We seem to be losing a lot of the nicer, more talented & worthwhile Elvis people this year. My thoughts and prayers are with her family at this time. RIP Yvonne Craig, she was obviously as a beautiful person inside as she was on the outside. The world needs more Yvonne Craigs.